The Clip-to-Clip Tag® collection is one of the newest tags on the market and makes your graphics really pop! This tag makes a great premium handle bag and is perfect for displaying packaged product. 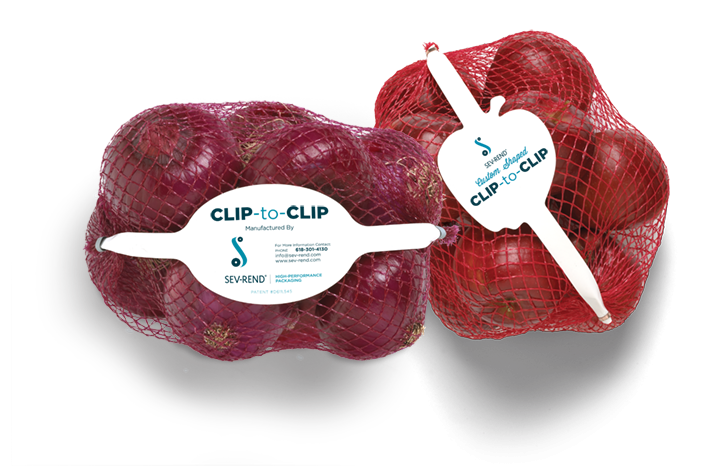 Our Clip-to-Clip Tag® is available in custom shapes, like our new Apple and Onion shapes. Or we’ll help you design a customized shape of your own.